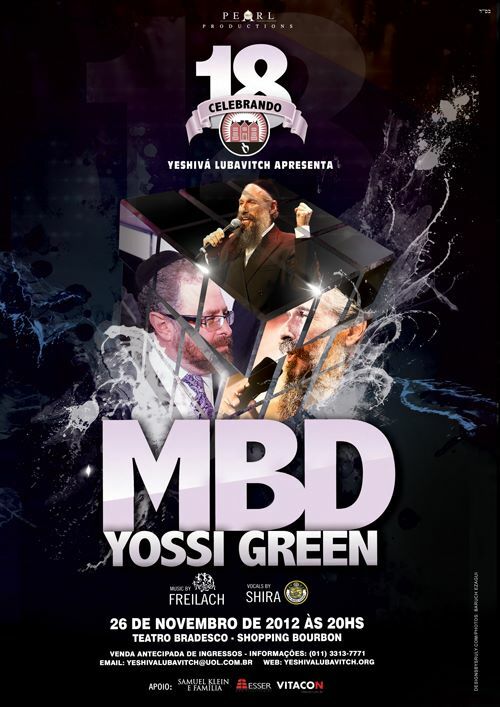 Yeshiva Lubavitch presents, an 18 year anniversary celebration starring MBD and Yossi Green LIVE in concert Also featuring the Shira Choir and Freilach Music. 26 de Novembro de 2012 ÀS 20HS Teatro Bradesco – Shopping Bourbon. whoever promised the laufer concert would be on DVD?? And I don’t see anywhere in this story that they are promising it will be on DVD either.